2 decks. Easy. 1 redeal. 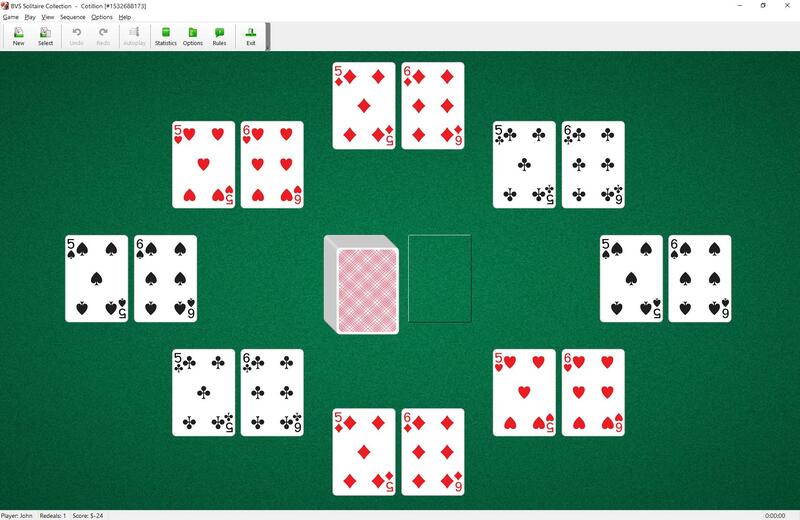 Cotillion Solitaire uses two decks (104 cards). All Fives and Sixes are removed from the deck to form the foundation piles. To build the Fives down in suit to Kings, and the Sixes up in suit to Queens. Turn over cards from the stock pile to the waste pile. 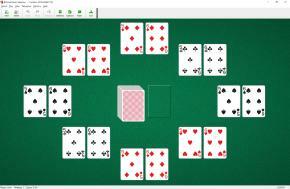 The top card of the waste is available to play on foundations.